Today’s yoga class is designed for the absolute beginner. You can do this class if you have never done a yoga class before in your life. I will give you slow, easy to follow, step-by-step, pose by pose instructions on how to do sun salutations. I will explain to you in detail how exactly to get in and out of each and every pose. Detailed instructions will be given for even the most basic poses and how to breathe. You will be given lots of cues of how to pay attention to your body and where to feel the effects of the yoga poses. You do not have to be athletic, flexible, strong, balanced, skinny or coordinated to do this class. The slow, step-by-step instructions will give you the confidence to let go of your self-judgment and stay focused with commitment and motivation. 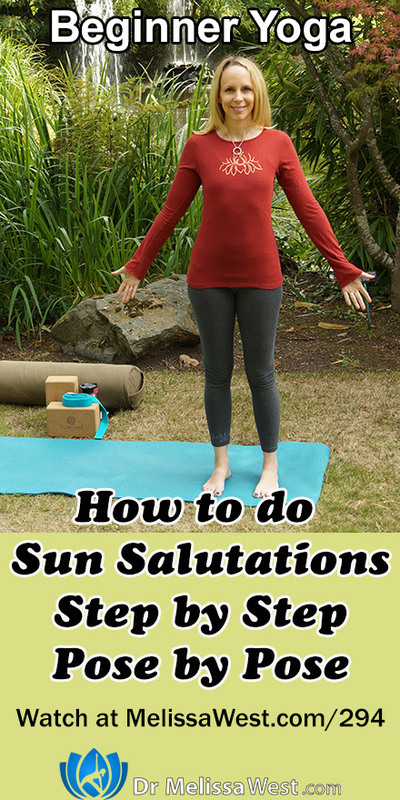 Sun Salutation is probably the most famous yoga sequence and there is a good reason for it. Posture by posture, sun salutations are incredibly beneficial for your body. There are 12 names for the sun in sanskrit – the traditional language associated with yoga. Not surprisingly, sun salutations includes 12 yoga postures linked together with breath. Sun salutations are incredibly beneficial for your body and are said to be a complete practice in and of themselves. (With the exception of the fact that there are no twists in sun salutations). Sun salutations improve circulation, stimulate your nervous system and raise your body heat. When you practice sun salutations all of your joints are lubricated. Your spine also experiences a great practice in flexibility. Sun salutations will strengthen your abdominals, your pelvic floor and your back muscles. Sun salutations can clear your mind when you focus on linking the movements with your breath. For the most part, sun salutations are quite an invigorating practice. Here on planet earth, the sun is our primary source of light. Sun Salutations can be a way for us to connect with our light within and our self-illumination. Sun salutations are a way of honouring the source of light to our planet and our light within or our self-illumination. When the ancient yogis created this tradition of yoga, they created many of the yoga poses as a reflection of their external world. Poses like the ones we have practiced today, cobra, we created by copying actual cobras that they observed. Likewise, the sun is a metaphor for bowing to our inner light. Surya Namaskar means to bow to the sun or to bow to our inner light. Let’s look at the benefits of sun salutations posture by posture. 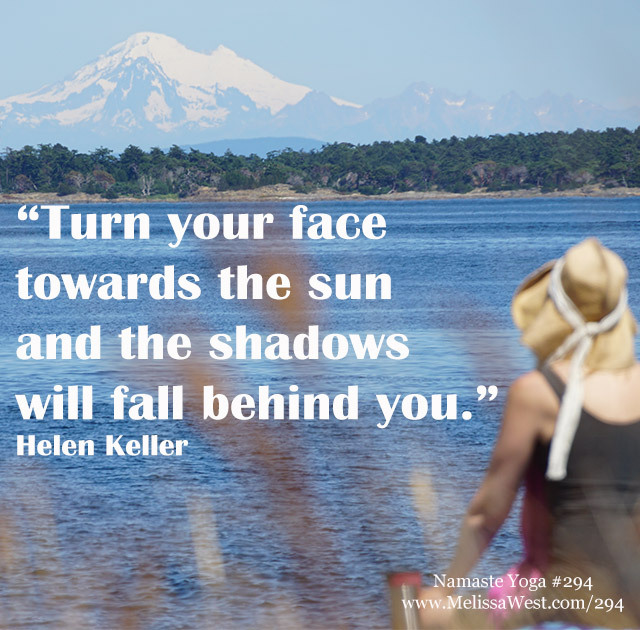 You start sun salutations with tadasana or mountain pose. This pose helps you to ground and connect with the present moment. Physically it will allow your feet to connect with the ground, allow you all the benefits of having your feet out of shoes so you can spread your toes, strengthen the arches of your feet, improve your proprioception and balance and strengthen your ankles. This pose also improves the overall alignment of your body and your sense of your body in space. It will give you a chance to connect with your vestibular system sensory system that provides the leading contribution about the sense of balance and spatial orientation for the purpose of coordinating movement with balance. Next comes standing forward fold or uttanasana. This pose stretches out your hamstrings and calves. Your calves are super short from wearing shoes all the time. Your hamstrings are short whether you are active or sedentary. They shorten from sitting in chairs and from running, walking, cycling and going up and down stairs. This pose will also calm your mind and help relieve stress and anxiety. 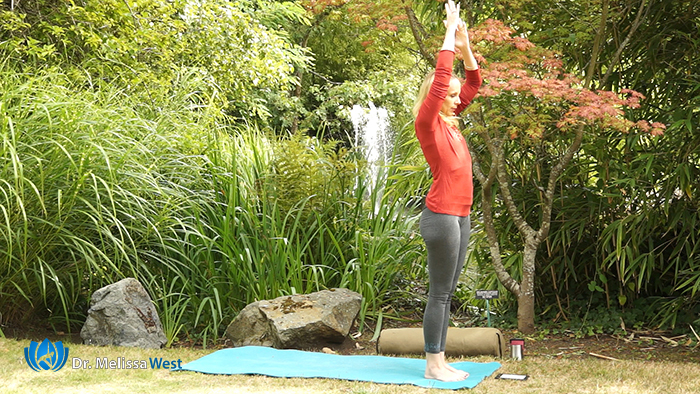 From standing forward fold you step back into anjaneyasana or lunge pose. This pose is such a great counter pose to all the time we spend sitting in our day to day life. It opens up the fronts of your hips and your chest. It is also a great pose to practice your balance. From lunge pose you step back into plank pose. 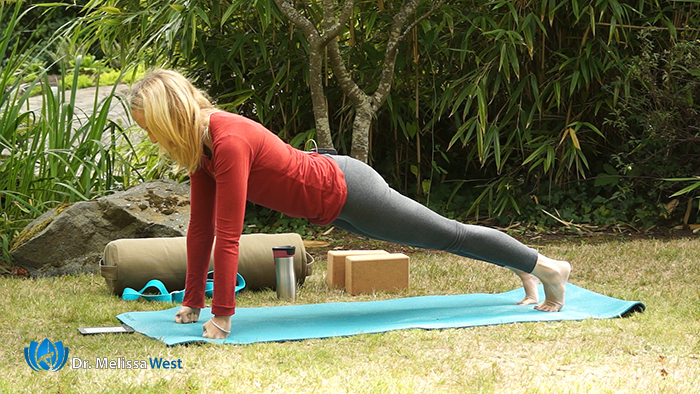 Plank pose is an excellent posture to build core strength. It will improve your posture and your overall confidence. It is a great weight bearing posture for your wrists, elbows and shoulders and so is fantastic for preventing osteoporosis. It will also stretch out the backs of your toes and give you the motivation to move into action. After plank comes that dreaded chaturanga. This pose is incredible for building upper body strength, especially in your triceps. For all of you who are trying to get rid of those wavy underarms, this is your movement. It will build strength in your wrists and tone your core. Cobra pose is a fabulous pose to open up your chest, shoulders and abdominal muscles. This is such a fantastic counterpose to all the time we spend rounded over screens in our culture. This pose will elevate your mood and help those with depression. 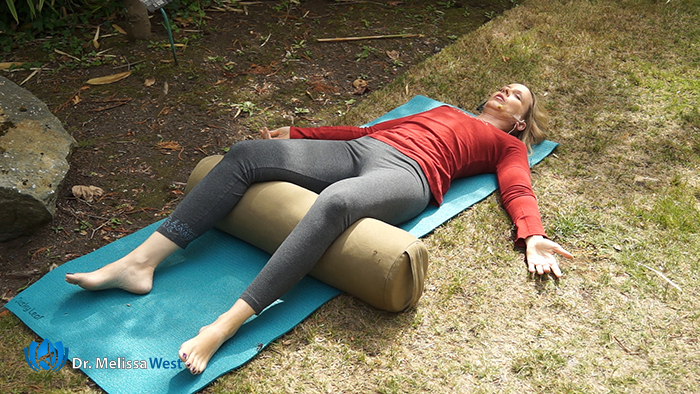 It will strengthen your back and help those with sciatica. This is one of my favourite poses. From cobra you will tuck your toes under and go back into downward facing dog. This gentle inversion will calm your mind and relieve stress and mild depression. 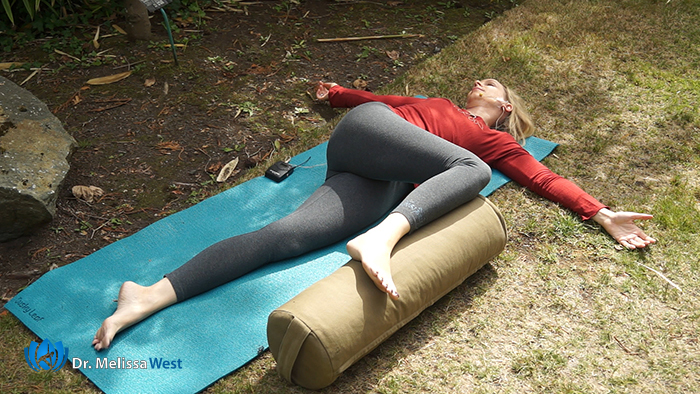 It will help to stretch your hamstrings, calves, shoulders and spine. 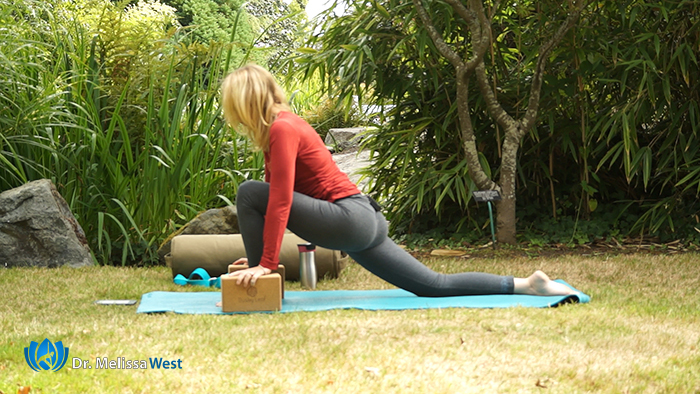 After downward facing dog, you will be repeating lunge, standing forward fold and up to tadasana. 🙂 As you can see, sun salutations have an incredible array of benefits that will apply to a wide variety of people. Yoga Postures/Asanas: Guided Relaxation and Centering, Sunshine Arms, Keyhole stretch, Suptapadangusthasana or Hand to big toe pose, Cat pose or marjaryasana, Cobra or Bhujangasana, Lunge Pose or Anjaneyasana, Plank Pose or Utthita Parsvakonasana, Chaturanga Dandasana or Tricep Pushup, Downward Facing Dog or Adho Mukha Svanasana, Tadasana or Mountain Pose, Uttanasana or Standing Forward Bend, Surya Namaskar or Sun Salutations, Supta Matsyendrasana or Half Reclined Twist, Savasana or Corpse Pose. Leave your comments below, let me know what was the biggest benefit you received from sun salutations today. How do you see sun salutations most benefiting you in your life right now? If you benefited from today’s class we have over 30 beginner yoga classes and we are adding to them all the time. If you want to go deeper and learn more about sun salutations, we have our resident expert Ashtanga teacher, Lisa Kerr, teaching Surya Namaskar A and B, which are a part of the traditional Ashtanga Primary series in our membership community. In this video, these Sun Salutations are taught to show you how to execute the flow with mindful awareness of the body and breath. This style of vinyasa is meant to heat the blood so it may flow through the joints and organs freely, relieving pain and stiffness and removing toxins. The practice is done using an ujjayi breath with a 5 breath count in every down dog. Become a Member Today: Click here. Next post: Is your breathing causing stress and anxiety?